Nanak Flights offers cheap flights to Fort Mcmurray from Toronto, Montreal, Ottawa, Vancouver, Calgary, Edmonton, Halifax, Winnipeg, Victoria and other Canadian cities. Air Canada and Westjet operates domestic flights to and from Fort Mcmurray. Air Canada, United, Lufthansa, Delta, KLM, Air France, Jet Airways, British Airways operates International flights from Fort Mcmurray. Few Airlines uses Air Canada and Westjet as connecting airlines to Toronto, Vancouver and Calgary hubs for International flights from Fort Mcmurray. Did you know? Fort McMurray has been recognized as the most giving community in Canada by the United Way. Check www.fortmcmurraytourism.com for an events calendar. Book cheap tickets to Fort McMurray (YMM) to see the beautiful Aurora Borealis on your visit to Fort Mcmurray. Climb a mountain, hike amazing scenic trails, and fly in a seaplane on a great journey. Festivals are also found in this historic place, so if you want to keep to the city be sure to check out the awesome events. Fort Mcmurray has great fishing spots, including ice fishing if you've never tried it before. Try out Winter sports or just have plain old fun with snowmobiling and sledding. During Summer, great rivers for kayaking are in this awesome city so you can experience only the best in outdoor living. First step to enjoy the popular vacation spots at Fort McMurray is to call us and book your flight tickets to Fort McMurray. You can book flights to Fort McMurray online through our user friendly and secure website. Welcome to this fantastic holiday destination!! Get your currencies exchanged at one of the below currency exchange agencies which are at close proximities to the airport. Headquartered at Toronto, Scotia Bank was founded at 1832 by Halifax Regional Municipality, Canada. Scotia Bank offers the best of the prices for currency exchange around the city of Fort McMurray. It is located at 9541 Franklin Avenue. TD Bank financial group offers a full range of products and services to about 17 million customers worldwide. Located at 504-8600 Franklin Avenue, TD Canada Trust also helps customer exchange their currency at considerable prices. When you are tired, hungry and craving for good Japanese food, the Fuji Japanese Restaurant is the place to hit. This restaurant tops the list of best places to eat in Fort Mcmurray for its most authentic Japanese dishes and awesome service. You can enjoy tuna or salmon sushi or teriyaki in a great ambience that too without feeling looted. Japanese food is known for its freshness and delicate flavors; this restaurant serves fresh food with excellent presentation to keep you coming back for more. One can also book private rooms for a gathering or special occasion in the restaurant. Overall, Fuji Japanese restaurant proffers an experience that one can never forget. The signature dishes at the Nim's Tandoori House are spicy chicken curry, coconut chicken curry, lamb curry, shahi paneer and sweet rice. This restaurant maintains quality of food and service to be excellent. Friendly staff and authentic Indian flavors of Nim's Tandoori house will compel you to visit this restaurant again and again. The food is worth paying the price. Fresh and irresistible vegetarian and non vegetarian dishes are served here regularly but Indian deserts like Gulab Jamun and jalebi are absolutely delicious to die for. If you are in Fort Mcmurray, Nim's Tandoori House is the place you must not miss dining at. Atmosfere Restaurant serves Italian and Mediterranean cuisine. The generous food platters are a good deal over the price. It is a nice place to sit for a business lunch or family gathering; exceptional service and delicious food made with fresh ingredients will surely win everybody's heart. Especially in a place like Fort Mcmurray that doesn't have many good restaurants, Atmosfere is a super friendly place to enjoy good times and food. The main highlights of the restaurant include beef wellington and bison short ribs. Incredible appetizers and desserts are also there on the menu cards. If you are looking for best Chinese and Vietnamese food in Fort Mcmurray, Sweet Basil is the place to land at. Sizzling seafood, curry dishes and beef sate are the best ones to try. For a brilliant start of the meal, you can order onion cake as a tantalizing appetizer. Their pho and salad rolls are worth coming back for. The Curry Pot at Loutit Road Fort Mcmurray is an authentic Indian restaurant. Known for its combination of flavors, The Curry Pot serves some amazing Indian dishes such as butter chicken, lamb curry, coconut rice, biryani, beef and potato curry etc. There also are option to order delectable vegetarian dishes like vegetable korma and dal. You can also try curry chicken wings and different varieties of samosa - made fresh in the house. The Curry Pot gives you a subtle explosion of deliciousness with superb hospitality. All the above and more restaurants in Fort Mcmurray are a guarantee of good times at a decent price. So, when you are terribly hungry in Fort Mcmurray, you now know where to eat. Peter Pond Mall - More than 65 retailers and services. Riverpointe Shops - One of the best shopping malls. Travel documentation requirements for travelling to Fort McMurray(YMM), Canada. On top of offering the best rates to Fort McMurray, If the cost of your air tickets drops after you purchase your tickets from us, we'll give you a 100 credit to spend on the next flight you book with us. We work hard to find the cheapest deals to Fort Mcmurray and all your destinations. For the email quote, fill out our form for a free quotation by email and we will get back to you with the quote. 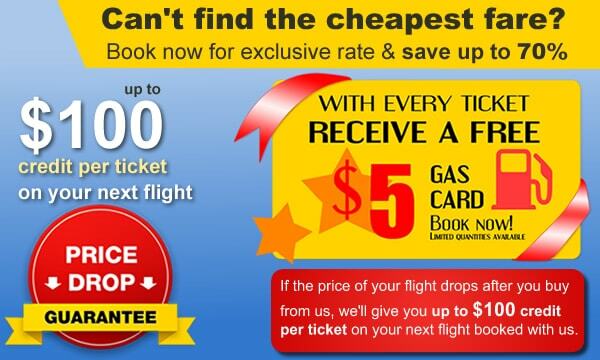 Our Secret to cheap airfares to Fort Mcmurray is connecting with multiple suppliers and multiple GDS (Global distribution systems Sabre, Amadeus) to shop the lowest fares and offer the lowest fare to our consumers. Try going to these awesome festivals in Fort Mcmurray. Have a blast on your visit. A local festival highlighting the unique and vibrant culture of the Metis peoples. Have fun in the sun this summer during Fort's annual music festival. A family-friendly event featuring wonderful children's performances by local groups. Learn about local farms, ride carnival rides, and have a total blast in this Alberta-style fair. Great for artsy types, discover with your family the community's art projects. Come celebrate Summer's arrival with this city-wide picnic! The greatest rock concert in Canada! Raise money for Canadian Cancer Society at this get together. Celebrate our heritage on Canada Day! During Christmas, come check out all of the uniquely decorated fir trees. For any information regarding Fort Mcmurray airport, Please visit the Fort Mcmurray airport web site. Check out our youtube video for places to visit in Fort Mcmurray. Vancouver(YVR) to Fort Mcmurray(YMM) departing Feb 15, 2017, returning Feb 22, 2017. Toronto(YYZ) to Fort Mcmurray(YMM) departing Feb 15, 2017, returning Feb 22, 2017. Ottawa(YOW) to Fort Mcmurray(YMM) departing Feb 15, 2017, returning Feb 22, 2017. Montreal(YUL) to Fort Mcmurray(YMM) departing Feb 15, 2017, returning Feb 22, 2017. Halifax(YHZ) to Fort Mcmurray(YMM) departing Feb 15, 2017, returning Feb 22, 2017. Regina(YQR) to Fort Mcmurray(YMM) departing Feb 15, 2017, returning Feb 22, 2017. Calgary(YCC) to Fort Mcmurray(YMM) departing Feb 15, 2017, returning Feb 22, 2017. Prince George(YXS) to Fort Mcmurray(YMM) departing Feb 15, 2017, returning Feb 22, 2017.
if you are planning to stay close to the Airport in Fort Mcmurray, following is the list of the best hotels close to the Fort Mcmurray Airport.